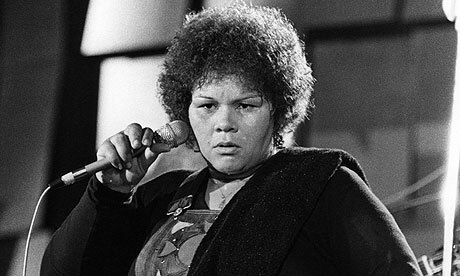 "In our latest visit to Rock's Backpages – the world's leading archive of vintage music journalism – we bring you an interview with the late Etta James, by Cliff White for NME in 1978"
"Thanksgiving Day in November will be my silver anniversary: 25 years since I cut my first record and I haven't become a superstar yet. It took Janis Joplin two years." A statement of fact. No bitterness in the voice, just a shadow of sadness exposed along with the naked truth; a fleeting glimpse of dues paid and years lost. Etta James is not given to bitterness. She gets angry sometimes, certainly. Pretty wild with it too, so she says. But generally she greets life's dirty tricks with wry humour and a stoicism that has sustained her through the sort of professional trials and personal tribulations that have crippled – or killed – many a weaker personality.